In the aftermath of the NSW State election, it's easy to get depressed. 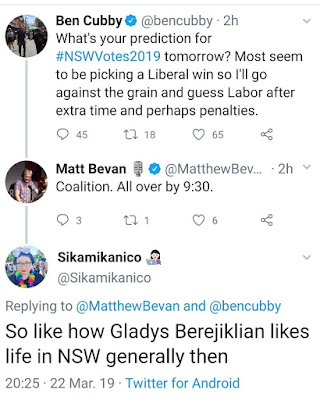 The NSW Liberal/National coalition has gained a third term of government, ensuring more sell offs of public assets, more cuts to funding for community and human services, enforced adoptions of Aboriginal children in state care, that abortion will remain technically illegal, and we'll all be going to bed early as pubs close and developers take over formerly lively suburbs. There is some good news. The three sitting lower house Greens MPs were all returned with increased majorities, showing that people - in those seats at least - prefer community representation that cares about people and the environment to corporate cronyism and thinly veiled racism. But these returns have pointed to a larger trend; that generally, very few seats changed hands. 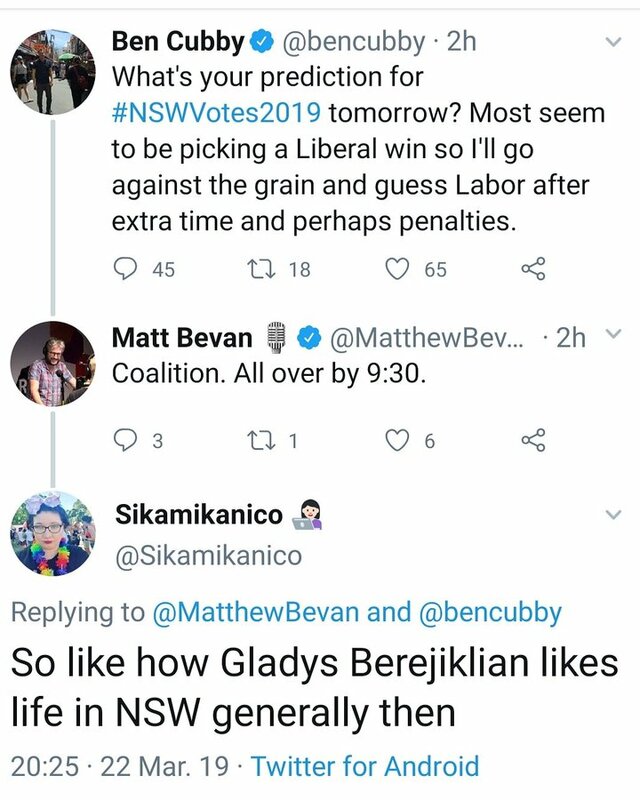 Labor failed to capitalise on the general discontent with the Berjiklian government, and did not win the swag of seats they expected and needed to win. (The Labor party should change its slogan to "thoughts and prayers", since they have nice platitudes but are useless at actually changing things). But what has been most devastating to a lot of people is that 8 days after one of the worst terror attacks ever carried out by a white supremacist - a white supremacist from our own state - who shot 50 innocent Friday worshippers at a mosque - so many NSW voters have turned around and voted for the (Elephant) Shooters party, who want to dramatically relax our gun laws, as NZ tightens theirs in the wake of the massacre; and One Nation, who peddle a line of racism and hate. How could this happen? How can people turn towards the ideology which allowed for the slaughter in Christchurch, as the funerals continue? I don't think the answer is that complicated. There are always those who are overt in their cruelty and racism, the ones who cheered the shooter on. These people need watching, but I have to believe they are a minority of us. The real problem with racism we have in Australia is the covert, insidious kind of racism. And if you've ever tried to argue with someone who believes that Muslims are a criminal threat to Australian society, or that climate change is all a scam and the climate is always changing all on its own, you know facts don't make them change their minds. They dig in. They double down. Cognitive dissonance sets in; feeling under attack, they dismiss the facts as lefty bias and become more sure of their beliefs. It would be nice to think that the Christchurch atrocity caused some soul searching on the right, reflection on how the message of fear they spread fermented the toxic soup of hate that lead to the massacre. They didn't, though. It's hard to admit you're wrong. And they're afraid. 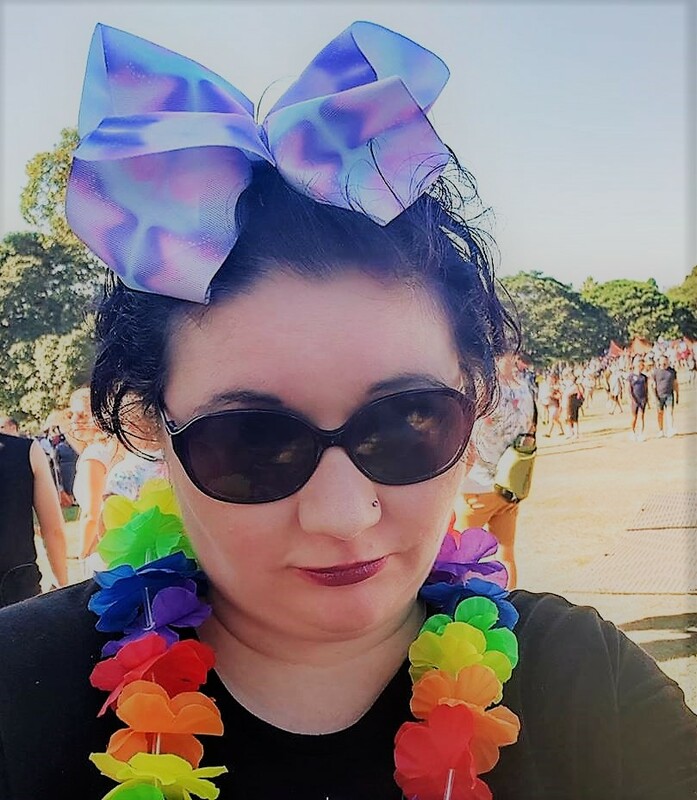 Not of right wing terrorism, but that following the massacre, laws will be changed to take away their guns, to remove the right to bigotry they trumpet as free speech, to increase Australia's intake of asylum seekers. The massacre is all about them see, and they don't want to change, so they voted for the parties they believe will protect them. And it's depressing as hell.